Lilias Ashworth, the daughter of Thomas Ashworth and Sophia Bright, was born in 1844. Her mother was the sister of Jacob Bright, Priscilla Bright McLaren and Margaret Bright Lucas. Ashworth was a strong supporter of women's suffrage and signed a petition organized by the Enfranchisement of Women Committee and joined the London Society for Women's Suffrage in 1867. The following year she was present at the first public meeting of the Manchester National Society. Over the next few months she became a close friend of fellow members, Lydia Becker and Richard Pankhurst. According toElizabeth Crawford, the author of The Suffragette Movement (1999): "She was herself a valuable and busy speaker for the suffrage cause. It required considerable courage then for a woman to sit on a public platform and actually to speak from one was regarded as almost indecent." Ashworth later recalled that "when we appeared in our quiet black dresses it was amusing to note the sudden change in the faces of the crowd who had come to look at us." Over the next few years she developed a reputation as one of the best public speakers on the subject of women's suffrage. William Waldegrave Palmer compared her to Jacob Bright when he said "she possesses the oratorical power of her uncle, both for argument, pathos and satire." In November 1871, Jacob Bright suggested at the annual general meeting of the Manchester Society for Women's Suffrage that greater pressure could be applied on members of the House of Commons by establishing a Central Society for Women's Suffrage in London. The first meeting of this new group was held on 17th January 1872. The first executive committee included Lilias Ashworth, Frances Power Cobbe, Priscilla Bright McLaren and Agnes Garrett. 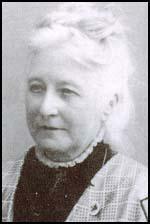 The following year Lilias Ashworth became a member of Married Women's Property Committee. After the death of her parents she became a wealthy woman and donated large sums of money to women's suffrage pressure groups. This included a £100 donation to the Central Society in 1873. At a Quaker ceremony in 1877 Lilias Ashworth married Professor Thomas Hallett of Bristol University. 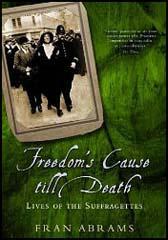 He had been active in the Liberal Party and had written pamphlets on Free Trade and Ireland. Her uncle, Jacob Bright, commented in the Women's Suffrage Journal that the family believed "that the homes where women were politically instructed, were happier homes than those where women were politically ignorant." The couple had no children. Lilias Ashworth Hallett remained committed to the campaign for the vote. She was convinced that it was only a matter of time before Parliament agreed to their demands. She argued, "Women have become necessary to the success of party organizations, and to deny them the power of quietly going into a polling booth to record a vote is no longer rationally possible. In 1903 she became a member of the executive committee of the National Union of Women's Suffrage Societies. She was also vice-president of the Central Society for Women's Suffrage and a member of the London Society for Women's Suffrage. Hallett became disillusioned with the lack of success achieved by the various constitutional suffrage societies and she was initially sympathetic to the actions of the militant Women Social & Political Union. In 1906 she joined with Millicent Fawcett in organizing the banquet at the Savoy to celebrate the release from Holloway Prison of WSPU prisoners. On 13th February 1907 she joined the march from the Women's Parliament in Caxton Hall to the House of Commons. The following day The Times published her letter which gave an account of her first WSPU demonstration: "My astonishment was great when I found we were suddenly encompassed by police on foot and horse-back, and our courage rose in proportion to the indignation we felt. Police blocked the footway. They laughed and jeered... I was twice arrested." Hallett admitted that she was released when she told the policeman who held her that she would report them to her friends in Parliament. She added: "They were not sure who I might be. If I had seemed more like a Lancashire mill-hand, I should doubtless be in Holloway this morning." 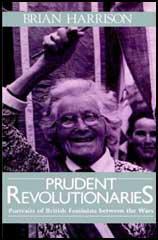 As a result of this experience Lilias Ashworth Hallett became a financial supporter of the WSPU. In 1907 she gave £75 and the following year she increased her donation to £90. Mary Blathwayt noted that when Hallett attended a NUWSS meeting in Bath in 1908 she wore a WSPU badge. 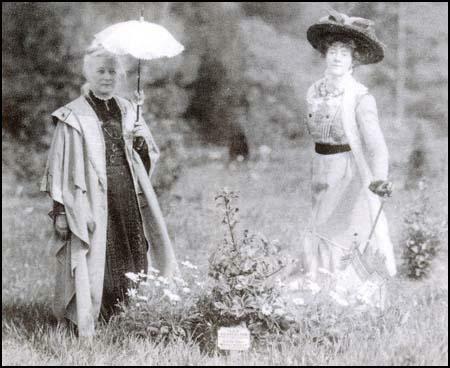 Lilias Ashworth Hallett planting her tree at Eagle House on 19th March 1910. Hallett was also a regular visitor to Eagle House near Batheaston. Colonel Linley Blathwayt and his wife, Emily Blathwayt, were both supporters of the WSPU. In May 1908 she chaired a WSPU meeting at Eagle House, where Annie Kenney was the principal speaker. Colonel Blathwayt decided to create a suffragette arboretum in a field adjacent to the house. The idea was for women to be invited to plant a tree to commemorate their prison sentences and hunger strikes. Over the next few months Emmeline Pankhurst, Christabel Pankhurst, Mary Phillips, Vera Holme, Jessie Kenney, Georgina Brackenbury, Marie Brackenbury, Aeta Lamb, Theresa Garnett, Lilian Dove-Wilcox, Adela Pankhurst, Marion Wallace-Dunlop, Vera Wentworth and Elsie Howey also took part in this ceremony. Eventually, even women who had not been to prison, such as Mrs. Ashworth Hallett and Millicent Fawcett planted trees. Emily Blathwayt recorded in her diary on 19th March, 1910: "Mrs. Ashworth Hallett came with her husband and planted her holly. She was one of the first workers for the suffrage and knew Dr. Pankhurst before he was married, in Manchester, when her Uncle Jacob Bright was there.... Mrs. Hallett quite thanked us for helping the Suffragettes, but like ourselves they do not like violent methods." Mary Blathwayt wrote in her diary that Mrs. Ashworth Hallett told her that the "militant methods of the Suffragettes... made her quite ill." She eventually broke completely with the WSPU when they began their arson campaign in 1912. Lilias Ashworth Hallett died in 1922. I attended yesterday, for the first time, a meeting called by the Women's Social and Political Union. I walked with the only two ladies in the procession I happened to know. My astonishment was great when I found we were suddenly encompassed by police on foot and horse-back, and our courage rose in proportion to the indignation we felt. Police blocked the footway. They laughed and jeered... I was twice arrested, and when I found the hands of the police upon me I pointed to the Houses of Parliament, and said, "If you don't take your hands off me there are men in that house who will know the reason why." They then dropped me. They were not sure who I might be. If I had seemed more like a Lancashire mill-hand, I should doubtless be in Holloway this morning. This afternoon I went into Bath by tram and then walked to Claverton Lodge... Mrs. Ashworth Hallett introduced me first to Miss Clark, and then to Mrs. Fawcett. Then others came in: Dr. Mary Morris... We all had tea there and stayed talking till 6.30. I have never been to the house before; it is a beautiful place. Mrs. Hallett is most kind. I could not believe I was looking at Mrs. Fawcett, she looks so young. I believe she has been working for Votes for Women for 40 years. Mrs. Ashworth Hallett came with her husband and planted her holly. She was one of the first workers for the suffrage and knew Dr. Pankhurst before he was married, in Manchester, when her Uncle Jacob Bright was there. They were both so pleased with it all and took great interest in the pond and the Midford Sand and all the trees and the "Rest". Mrs. Hallett quite thanked us for helping the Suffragettes, but like ourselves they do not like violent methods.